The eighth Pro-Tec Pool Party 2012; the most awaited bowl contest of the season, showcasing the best bowl-riders of the planet, wrapped Saturday at the Vans Combi in Orange, Calif. As usual, the World Cup Skateboarding organized the event and Dave Duncan MCeed the contest. Both the masters and pro divisions were so close all the way through that it would have been hard to choose a clear-cut winner. 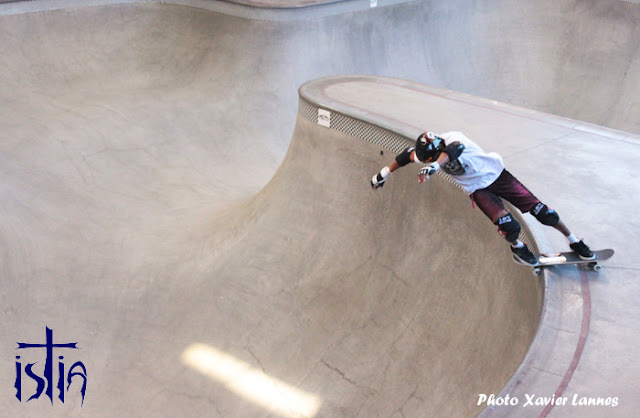 centered on speed, power and not-named-yet tricks. As always, we are happy we don’t have to judge the contest. 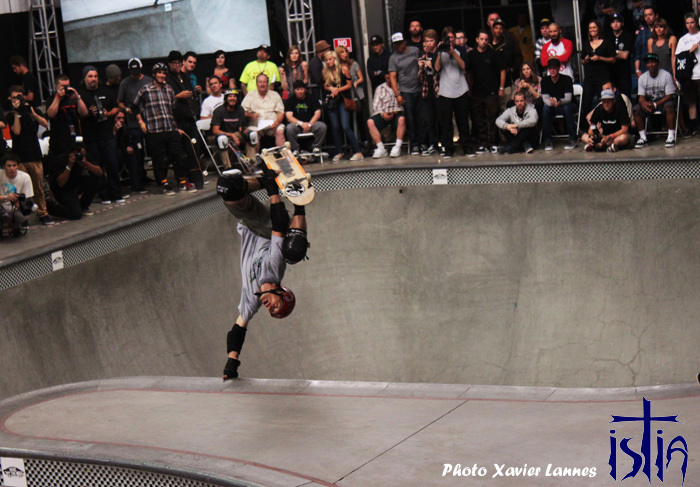 Even if, at the end, Brazilian Powerhouse Vans skateboarder Pedro Barros came out on top for the pros for the third time in a row, as expected and Chris Miller, one of the smoothest skaters of all time, took the Masters for the 7th time in a row , also as expected. 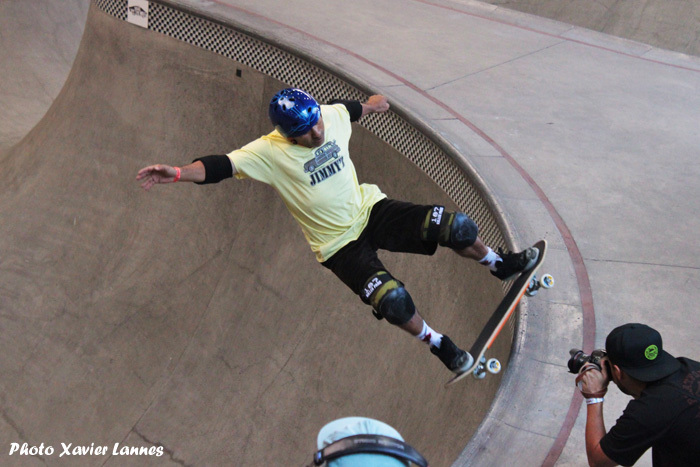 The Masters division took on the look of a Bones Brigade reunion as Steve Caballero returned from recent injury to claim first place and $14,000 ahead of fellow Brigade alums Tony Hawk, the runner-up, Lance Mountain in third and Mike McGill in fourth. It was the first time that those four had competed in the same contest since the early ’90s and Stacy Peralta and George Powell were on hand for the occasion. Cab, who six weeks ago broke his collar bone in a motorbike mishap, was not expecting to compete until being cleared to begin rehab just a week ago. 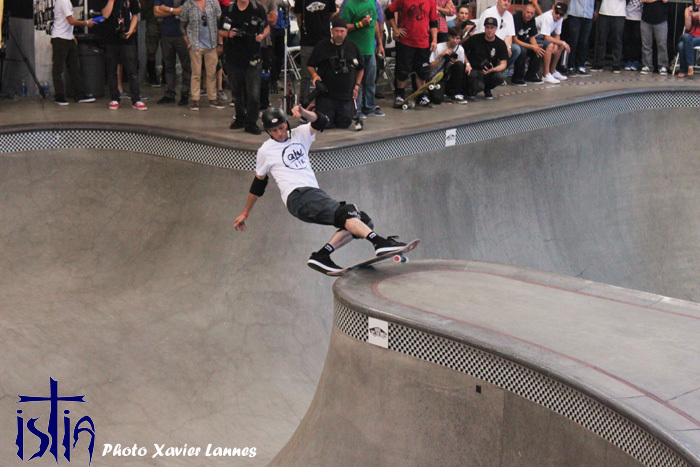 He also won in 2010 and is the only Masters competitor to unseat 6-time winner Chris Miller, who placed 9th this year. The night was capped off with Hawk receiving a huge cake in honor of his 44th birthday today. 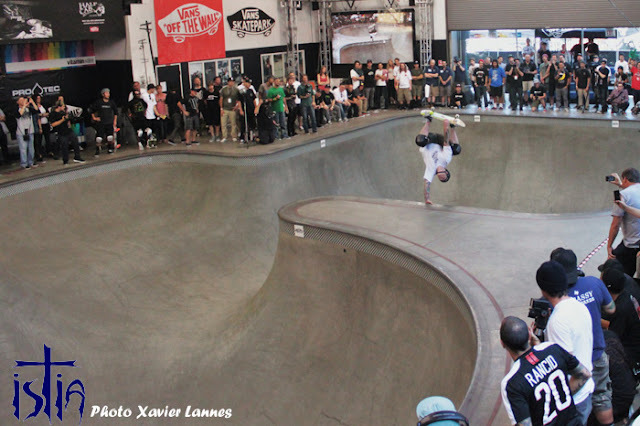 When Mike McGill finally landed a 540 in the square pool after various attempts, the crowd went wild. 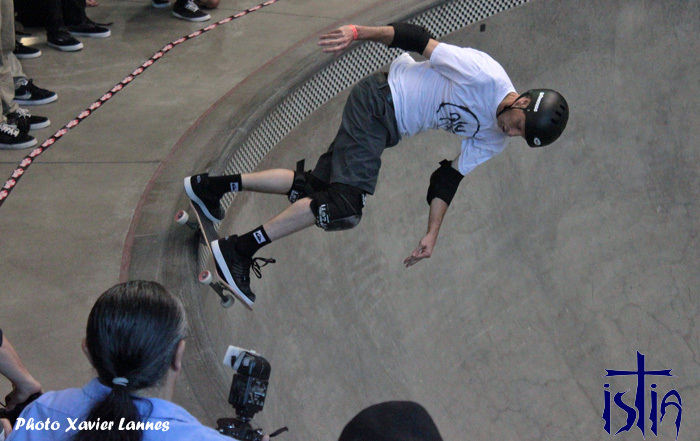 He skated like in the old Bones Brigade days and finally landed 4th. Well deserved. Cab just signed up with an ol' pal: Jimmy'Z. 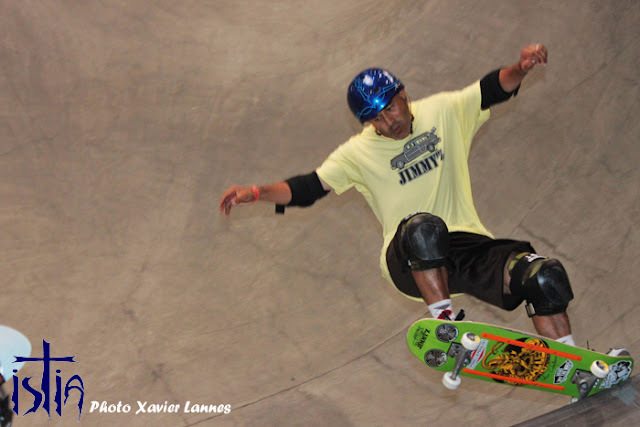 The other Jimmy'Z rider is Daniel Cuervo.